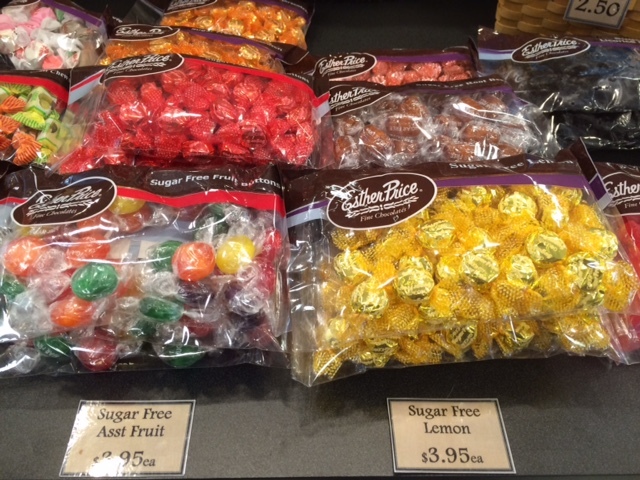 Esther Price Candy – Go There. Try That. When I was a kid, customers from the bank where my dad worked used to give him boxes of Esther Price candy at Christmas time. I remember rushing to that signature gold box with the red ribbon and picking out my favorites. I loved the chocolate wrapped in silver and gold foil because those are the solid milk and dark chocolate pieces that simply melt in your mouth!! Plus, no icky cream fillings or cherries in the middle to contend with. I wasn’t a complete purist though, I also loved the honeycomb pieces and the peanut turtles. If I was really lucky, it would be a double-decker box and I would get more than one of my favorites. 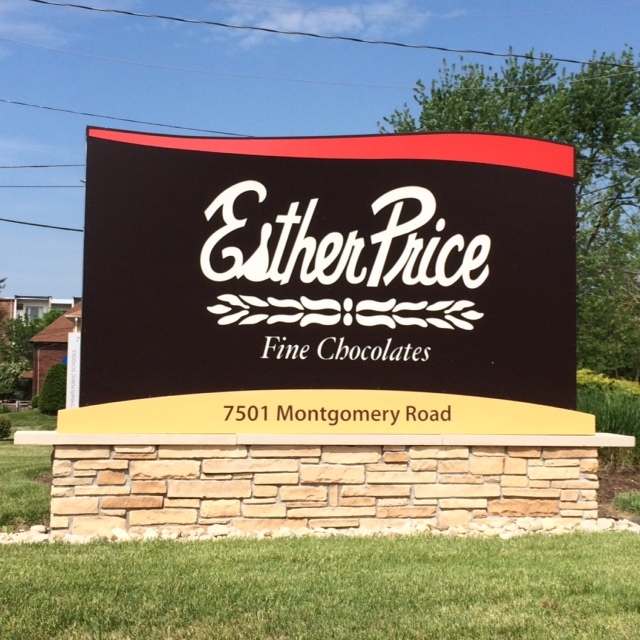 What I didn’t know as a kid, is that Esther price is a local, Dayton based chocolatier. Because it’s a local business and because it’s the best chocolate, it made the perfect Christmas gift. (To the woman who always gave us fruit cake, take a lesson!) To this day, my family still loves to support Esther Price. These recipes were originally created by Esther Price herself over 85 years ago and the chocolate, which is still made with Esther’s recipes, is delicious, creamy, and rich. One day, while running errands in Cincinnati, I stumbled upon an Esther price store close to the Kenwood mall. It actually looks like a cute little cottage house, but is filled with chocolatey goodness. 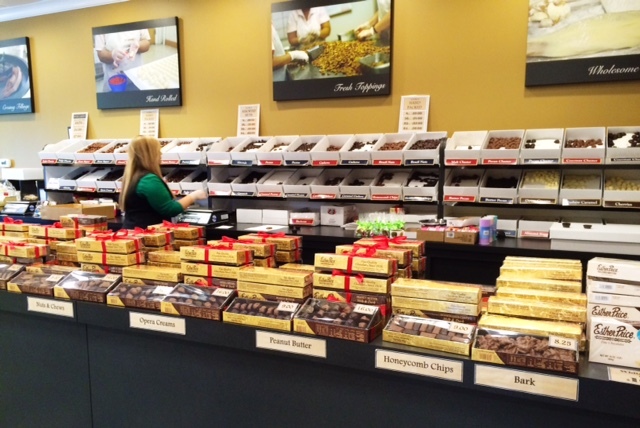 At the Esther Price store, they sell their signature gold boxes of chocolate, individual pieces of chocolate, and many other candies as well. 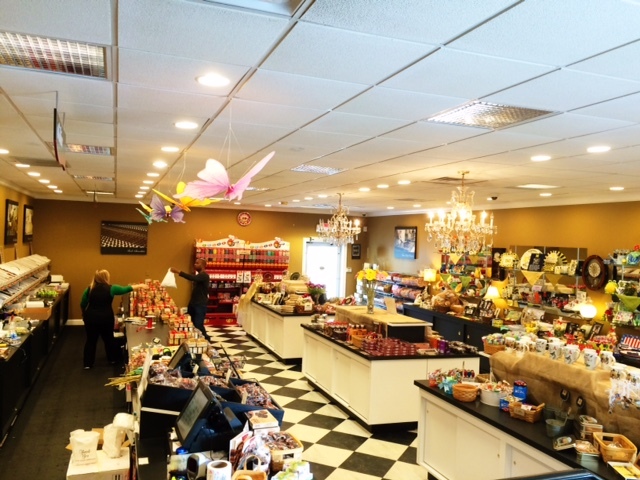 When you walk in the door, be sure to try some samples from the basket! Score! For those watching sugar, I stopped in recently to pick up some sugar free chocolates for my parents, and according to them, Esther Price sugar free beats all other brands. 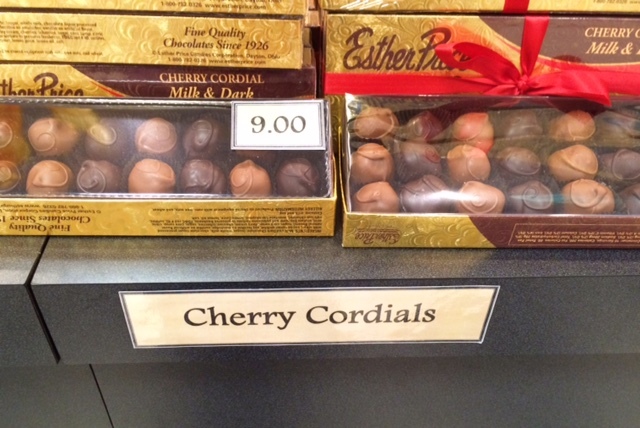 My dad’s favorite, the chocolate covered Bourbon Cherries and Cherry Cordials. My Aunt June swears by their sugar free Root Beer Barrels (yes, they have hard candy, too). If you have never had Esther Price, or it’s been awhile, take a trip up there and check it out. They have locations in Dayton (including the original factory and store) and Cincinnati. 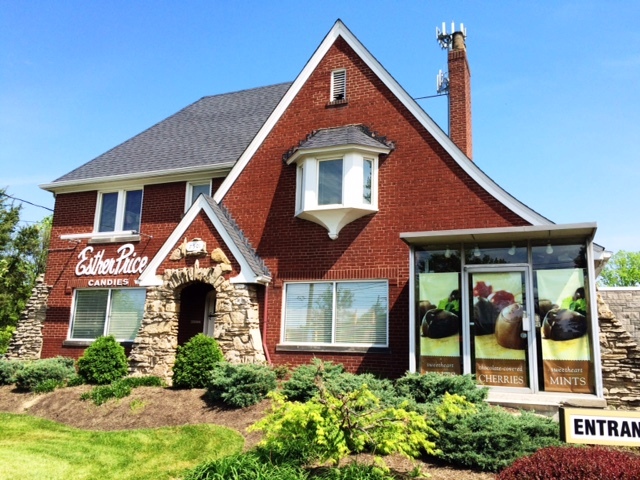 In fact, there are now three locations in Cincinnati. Kenwood was opened in 1968 by Esther herself, the Bridgetown store (West side) opened four or five years ago, and a new store opened last October in West Chester. You can also shop online. 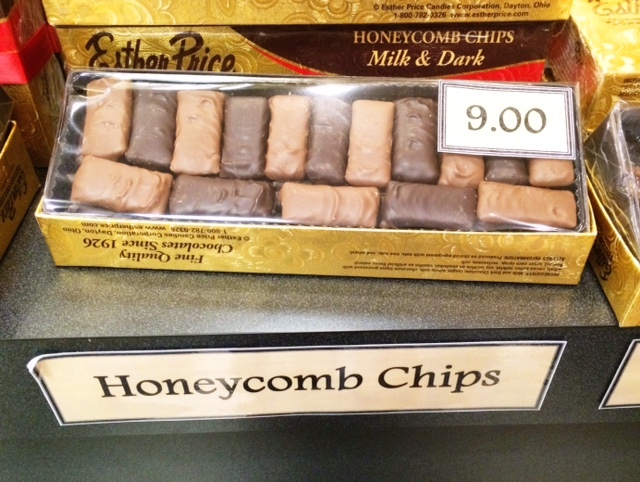 Try the honeycombs (so so good) and the peanut clusters for sure. And now that I’m adult, I’ve learned to appreciate some of those cream filled pieces- like the opera cream- but you can always have my coconut! Esther Price, like all fine chocolates, is not cheap, but it is delicious, local, and full of history! Surprise someone with one of those signature gold boxes! You can even create your own assortment. GO THERE (Esther Price)! TRY THAT (An assorted box)! My favorite is the milk chocolate covered caramels. They are the best. You know we love this stuff. I am savoring the box you gave us and making it last. No gorging, a piece a day. Esther Price candy always reminds me of June! She used to bring it to us in CT!! Ahhh. I love that so much; thank you for sharing!